Unilever-owned spice company, Robertsons, has updated its entire line of spices, dropping irradiated ingredients and MSG across the line. It has also changed to pure cinnamon, dropping the ‘faux cinnamon’, cassia, that was previously a major part of the mix. GMO ingredients are also binned – most likely maize starch that’s often a component of spice products. 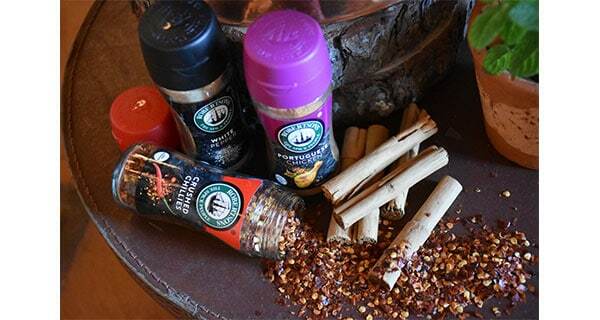 The new range – with a new look – will be replacing its well-known spice bottles on shelves in coming weeks. It has declared that the changes won’t affect its prices. Unilever told Business Insider SA it had not dropped the irradiation of spices, sometimes described as “radurised” on its labels, and GMOs, because it considers them unsafe. Instead the changes are “completely due to consumer expectation on what premium herbs and spices should be,” said Unilever SA food director, Anthony Segal. Radiation treatment, or bombarding with high-energy electrons, is used to reduce the microbial load of spices. It does not leave food radio-active, and extensive studies have never found any reason for concern about such treatment. Many food experts believe irradiation is the best way to make spices safe, retaining flavour and colour better than any alternative. Robertsons now uses steam sterilisation instead, which has been categorised as more consumer-friendly – despite evidence that it reduces the amount of health-promoting bioactive compounds in food. The relaunched line features what will now be labelled simply “cinnamon”, a departure from Robertsons’ previous approach to that spice. “We are taking this relaunch as an opportunity to go pure cinnamon which has better fragrance and aroma than our previous mix,” Segal said. Cassia, or Chinese cinnamon, is made from the Cinnamomum aromaticum tree, which is notably different from the Cinnamomum tree, the bark of which is used for “real” cinnamon. Cassia is considered inferior, and is considerably cheaper. Cassia has also been called – on scant to no evidence – “a cheap impostor and even dangerous to consume”, while Ceylon cinnamon is said to carry many health benefits. Unilever said the new, more expensive approach to cinnamon would not see an increase in its shelves. “The relaunch doesn’t change the brand’s price positioning,” Segal said.